Synechocystis PCC sp. 6803 is a species of cyanobacteria which is used as a model organism in numerous different areas of biology. Its genome was one of the first to be completely sequenced and is freely available online, initially on Cyanobase but now in many places. The functions of a significant proportion of its genes are understood. As such, it is simple enough to target genes that code for particular functions and it is possible to alter specific systems with considerable precision. 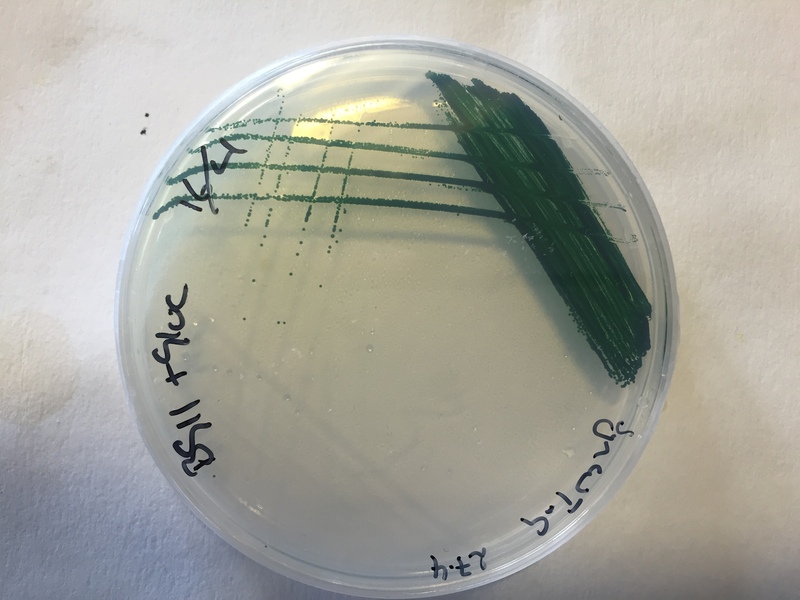 Together with the fact that synechocystis is fairly easy to transform, this makes it an ideal organism for use in synthetic biology and it has attracted substantial interest in the last few years as a potential producer of biofuels. Nonetheless, its use is not particularly widespread in iGEM and there are very few parts that are specific to it. 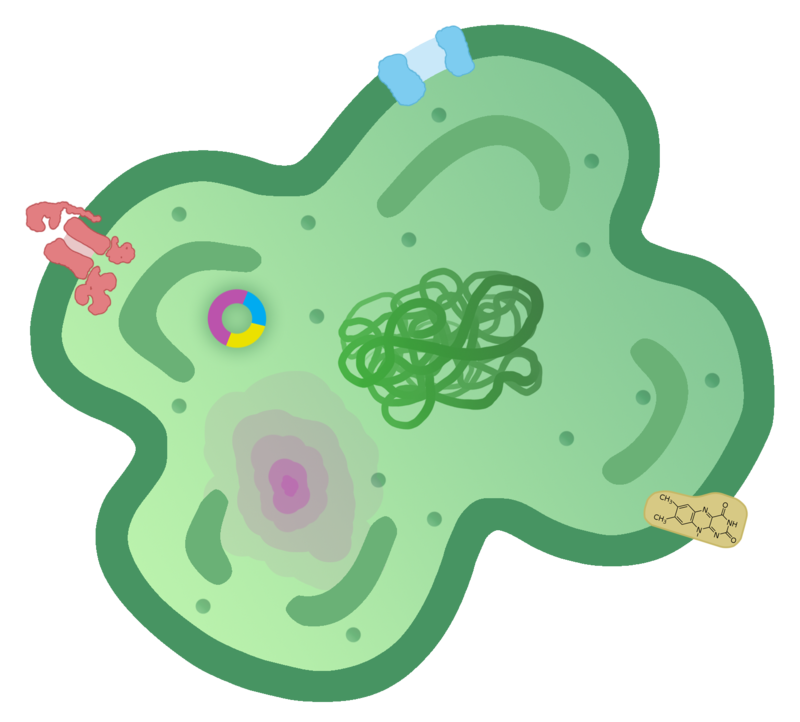 Therefore any team that chooses to use it faces substantial obstacles, such as the lack of suitable plasmids, promoters and ribosome binding sites. Figure 1.Synechocystis PCC6803 growing on BG11 medium. Cyanobacteria are the only known prokaryotes that carry out plant-like oxygenic photosynthesis. It is thought that plants’ chloroplasts are, in fact, derived from endosymbiotic cyanobacteria. However, photosynthesis in cyanobacteria is unusual in several respects. In particular, the cellular machinery involved in it is organized in an atypical manner. In cyanobacteria, the electron transport chains for photosynthesis and respiration are both embedded in the same membrane system. Electrons are shuttled back and forth between the two electron transport chains and various components are involved in both processes. These are: Plastoquinone (PQ), the cytochrome b­6f complex, Plastocyanin (PC) and cytochrome c533. These act much like switches on a railway, shifting electrons between the two electron transport chains. The process of photosynthesis itself is much the same as in plants. Importantly, it suffers from similar shortcomings. In particular, Rubisco is the central carbon-fixing enzyme in cyanobacteria as in plants. Rubisco is, of course, very inefficient as it has a high affinity for O2 as well as CO2. In fact, cyanobacteria have evolved a specific mechanism to combat this problem. Rubisco is sheltered within intracellular compartments called carboxysomes that concentrate CO2 and prevent oxygenation. It is currently thought that the carboxysome acts as a diffusion barrier to CO2, preventing CO2 from escaping and excluding O2. However, the carboxysome evolved millions of years ago and so is not fully adapted to modern atmospheric conditions. This means that it operates at sub-optimum efficiency. Thus, photosynthesis is not as efficient as it might be. There are three other major rate-limiting factors that affect photosynthesis in Synechocystis: the availability of PQ; the availability of PC; and the availability of Ferredoxin/ NADP. The first two factors affect Photosystem I; the latter affects Photosystem II. However, there is no quick or simple way to increase the availability of any of these. Moreover, since PQ and PC are also involved in respiration, for which they are also rate-limiting factor, any gains would be split between the two processes. Thus, the best way to increased the efficiency of photosynthesis in synechocystis is to increase the availability of CO2 to Rubisco, which is the weakest link in photosynthesis. 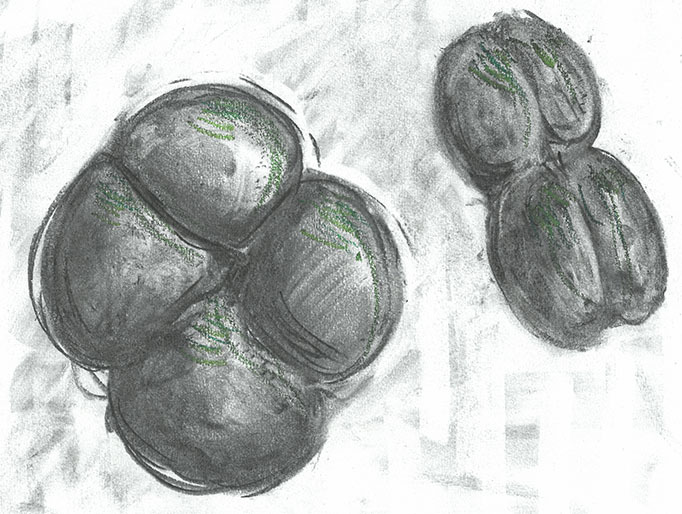 Figure 2.Charcoal sketch of Synechocystis PCC6803. Synechocystis is rarely used in Genetic Modification and there are very few BioBricks available for use in this chassis. There are several reasons for this. Firstly, unlike E.coli, Synechocystis 6803 is not monoploid. In fact its ploidy (number of copies of its chromosome) is entirely dependent on conditions, varying from 1 copy in prolonged Phosphorus-deficient environments to over 50 copies! Equally the growth rate is very low. The maximum recorded growth rate of Synechocystis gives a doubling time of 5.13 hours and this is only achieved with almost hourly dilutions to preserve the exponential growth stage, otherwise Synechocystis rapidly reaches a steady population size. 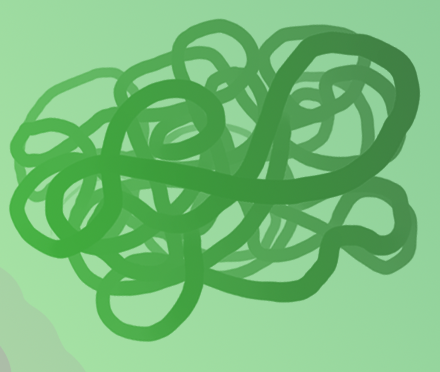 Despite these two problems, there is no better model cyanobacterial organism, and this means that routine Genetic Modifications that require cyanobacteria are rendered difficult so that many iGEM teams are put off from attempting to harness the potential offered by photosynthesizing bacteria. In light of this iGEM CLSB UK decided to take up the task of improving the ability of Synechocystis PCC 6803 in conjunction with our task to improve BPVs. The ploidy level of Synechocystis sp. PCC 6803 is highly variable and is influenced by growth phase and by chemical and physical external parameters. Zerulla K1, Ludt K1, Soppa J1.